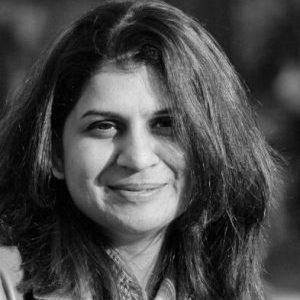 An award winning ‘designpreneur’ working at the intersection of design and technology, Rupa strongly believes in the strategic value of design for large-scale transformation of education, sustainability and healthcare. Rupa is currently studying at the Product Design Graduate program at Stanford University and is a founding participant at THNK, the Amsterdam School of Creative Leadership. As the founder of Raaya Design, Rupa works with entrepreneurs, corporations and governments to create products and services that enable sustainable behavioral change, generate new revenue streams, and create stronger brand relationships. Her designs have won international recognition including the Red Dot Design and GOOD Design Awards. Rupa is also part of the Amani Institute Advisory Council.